The Conservation Station building at Rafiki’s Planet Watch (Animal Kingdom) received a new 3-die machine in January 2016. There had been machines in the outdoor gift shop area a few years ago, but they were removed. This is the first machine in that area since. All three designs have “Worldwide Conservation Fund” on them, helping distinguish a similar Donald Duck found at Duka la Filimu. Keep in mind that this area must be reached via the Harambe railroad and closes earlier than the rest of the park. Sets are available for purchase here. Change machines are undergoing change. At Hollywood Studios, there are no longer change machines at Mickey’s of Hollywood, Pizza Planet, or Prop Shop (the latter two closed now for new construction). The only machine I have found at Studios is the change machine in the photo preview area at Tower of Terror (a particularly temperamental machine). At The Land in Epcot, the change machine now dispenses shiny zinc pennies at no extra charge with the quarters, and takes $1 and $b bills. Not all change machines dispense pennies, though. Honey I Shrunk the Audience closed in 2010, but its pressed coin at Journey Into Imagination remained available until this year. It looks like the replacement was made around July 2016. 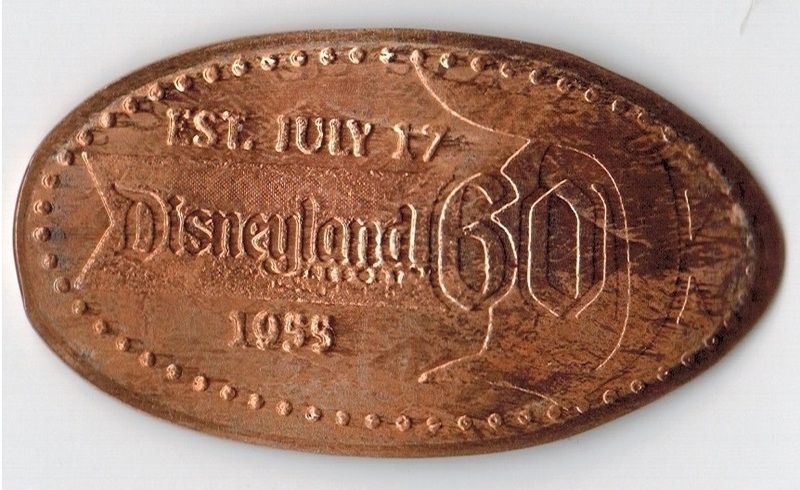 It was replaced with an Epcot logo coin that had been retired from Mouse Gear (see below). A common problem with the new vendor handling Disney World machines is that the machines routinely rolled very short. On my last visit in August, many of these had been corrected to roll properly. Some exceptions remain – notably the new machine at Tower of Terror, where the “HTH” logo and the bottom border is cut off (see below). Closings and rumored closings that may affect coin collecting: Rock ‘n’ Roller Coaster Featuring Aerosmith is dropping the Aerosmith connection. The band’s merchandise was removed from the gift shop in August just as a large photo of the band (with Steven Tyler giving an allegedly dirty sign with his fingers) was being modified. 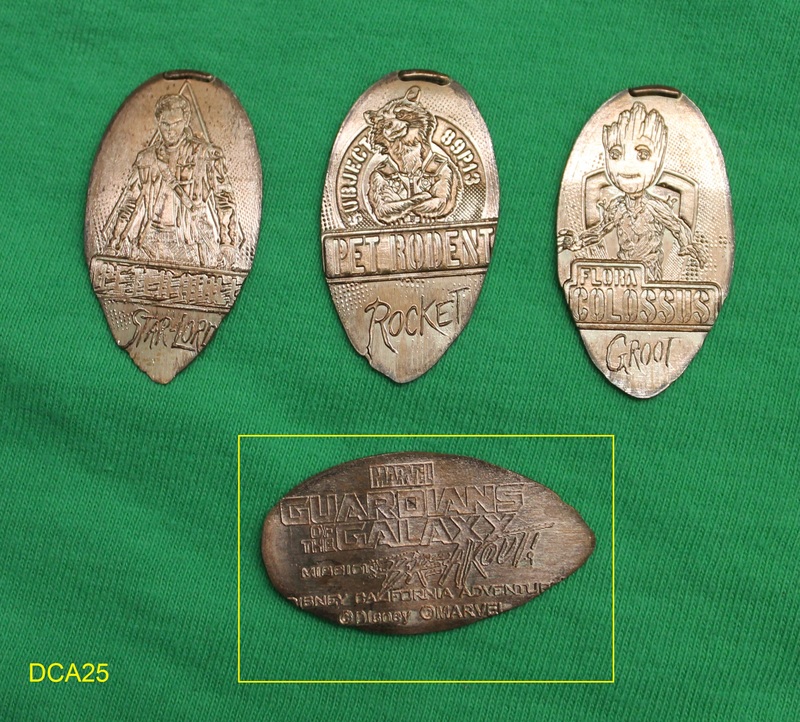 Although the coins at this attraction do not include the Aerosmith name or images, there is talk the coaster will lose its rock and roll connection, which would affect the designs. Innoventions has been losing more of its resident attractions – two bigger ones will be closing permanently on September 14. Plans for the building are uncertain, but both buildings (East and West) have remained open so far, even though the machines have been playing hopscotch every few months. Pizza Planet at Hollywood Studios is closed and will re-open later this fall as PizzaRizzo, with a Muppets theme. It wouldn’t surprise me if we see more Muppets coin designs as Disney plans to dedicate that entire area to the underutilized Muppets asset. The water parks start closing in October for annual refurbishment. Only one closes at any given time. In addition, while there has been a lot of talk about Tower of Terror at California Adventure closing or being re-themed, there has been no talk about similar activity at Florida. Date night: Just a quick reminder that the 15 2016-dated coins should start disappearing in late December. Will there be a 2017 series? This entry was posted in Animal Kingdom, Disney's California Adventure, Epcot, Florida, Hollywood Studios, New machines, Retired/removed, Theme Sets & Year Sets on September 8, 2016 by jnmcnally.